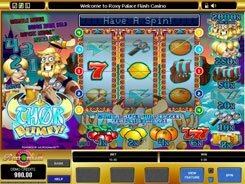 This 5-reel 25-payline slot is developed by Microgaming and is themed around a family that make moonshine at home. On the reels, you will see family members, foodstuff, policemen and bottles of moonshine. 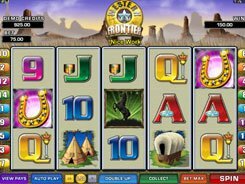 The slot features two scatters, a wild symbol, and free spins. The first and the second jackpots are $40,000 and $5000 respectively. 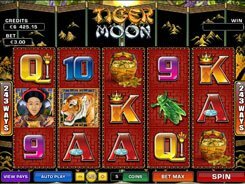 The maximum bet is 125 coins, with a coin value adjusted from $0.01 to $1. 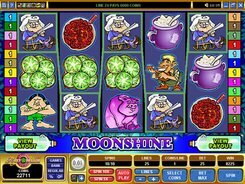 The Moonshine Bottle is a scatter that triggers 3, 4 or 5 non-retriggerable free spins, depending on how many scatters have landed anywhere on the reels. 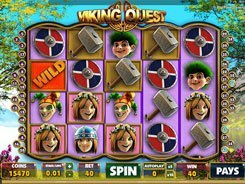 During the free spins all wins are multiplied by x4. The Policeman is another scatter. It does not trigger any special feature, but has a value of its own. Three, four or five policemen scattered on the reels yield up to $7500. To sum up, the game has a standard five-reel layout and a basic set of special features (scatters and wilds). 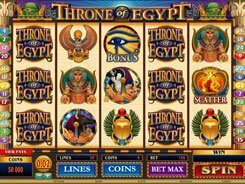 But, what sets it apart is a completely unique theme and a high fixed jackpot to keep you interested all the way.